Book Magic Circle magicians "Norvil & Josephine"! 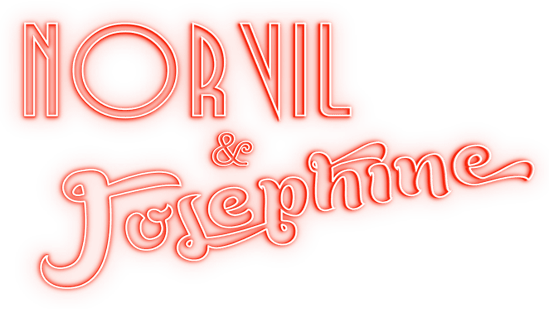 The unforgettable Magic Circle magician duo Norvil & Josephine present their shows for hire throughout the UK and internationally at events of every persuasion! The act can be presented on a dance floor or similar clear performance area or on a stage if you have one! Click Magic Circle magicians to see more of what magic they can do for you! This show has universal appeal across ages and languages and they’re flexible to draw from their repertoire. In doing so, they’ll make you a bespoke routine that will shine in your venue while working around how much space you have or the technical facilities that are to hand. This act is unique because, apart from incredible cabaret magic, they also add a touch of something special to the act with entertaining demonstrations of acrobatics and singing. Their entertaining and quirky act has received critical acclaim and is perfect if you're looking for a magician show to dazzle at your event. The inimitable duet features Magic Circle Magician Christopher Howell with dancer and acrobat Desiree Kongerod. For further information on how Norvil & Josephine could appear at your event to present something special that your audience and guests will talk about for years to come, visit our Magic Circle Magicians home page.